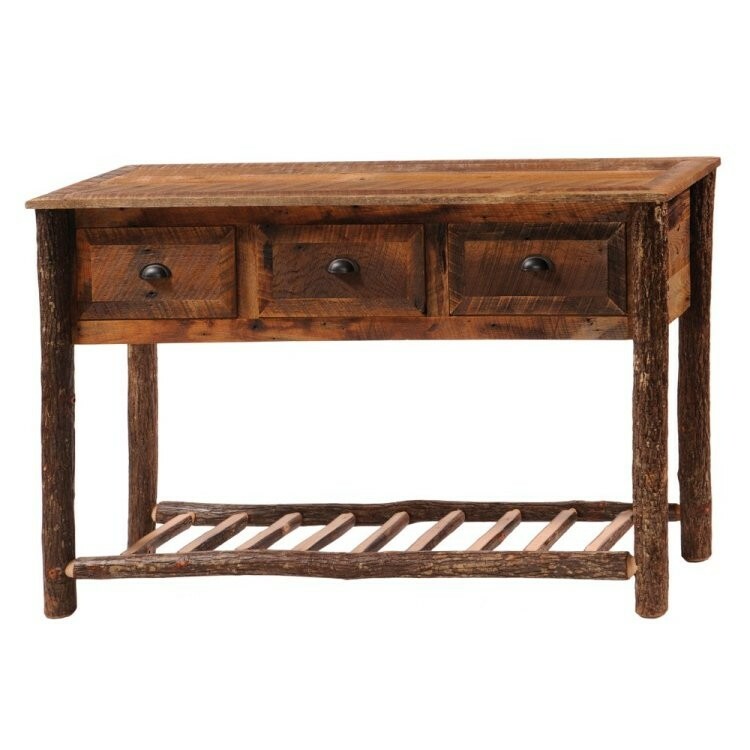 Enjoy the vintage appeal of reclaimed red oak planks from 1800s tobacco barns in your rustic home with our Barn Wood Console with Hickory Legs. 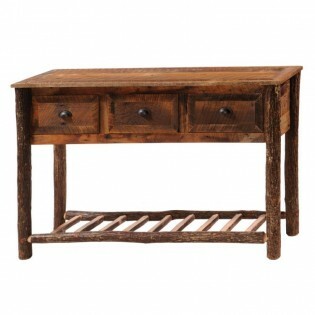 This rustic console features three handy drawers with vintage bin pulls and an ladder style lower shelf. This rustic table has a dull catalyzed lacquer finish for extra durability that will retain the wood's natural character.